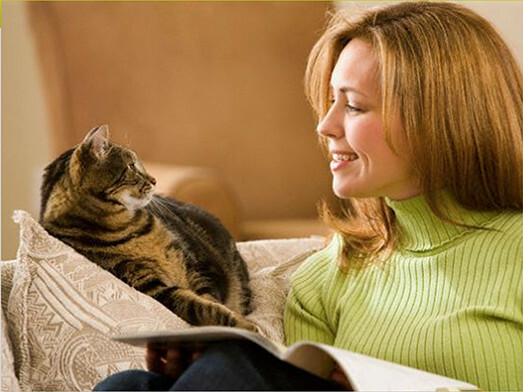 Your pet is a loving family member who no doubt gives and gets affection in equal measure. They have looked after you and provided much love and companionship but as they age, pets often need another type of care to ensure they continue to enjoy life. And sadly one day you may need to consider putting them to sleep in a gentle and loving way in your own home. At Cloud 9 Vets we focus exclusively on end of life care, making sure your pets are enjoying life to their full potential. Our quality of life consultations can give great comfort both to your pet and to you and your family. If your pet is at the very end of its life, we work with dignity and respect to ensure that any goodbye is done under your conditions in your own home at a convenient time. We complement the services you receive from your local veterinary practice. In the autumn of your pet’s life what better place could there be to provide quality of life care and even euthanasia than in your own home. Cloud 9 Vets has knowledgeable and sympathetic Care -Coordinators available 24/7 to help you in a time of need. We have nationwide teams of qualified Home Visit Vets with experience of end of life care. Our combination of first class nationwide veterinary capabilities combined with behind the scenes help systems supported by proven advanced technology make our service unique and give you the expert help you need when you need it most. Cloud 9 Vets has a code of practice based on our four values of Dignity, Passion, Responsibility and Respect. Our carefully chosen Vets and Care-Coordinators will provide qualified services you can rely on at a time you need them most. Cloud 9 vets vision is to be the leading UK nationwide provider of home based quality of life, palliative care and pet euthanasia, wherever you are 24/7. Get caring, professional end-of-life veterinary care for your pet when they need it most.